"Ancestor," came out awhile ago in the now-sadly-done anthology title, "Island," from Image Comics, and was collected in its own trade paperback a bit later on. I found the first excerpt fascinating when I read it in, "Island," then missed the other pieces, so when, "Ancestor," was released as its own original graphic novel (kinda-sorta an OGN even though it was in the anthology) I was excited to pick it up and give it a read. What I ended up enjoying was supremely strange, beautiful, and only maybe a little hamstrung by just how many ideas it keeps throwing-out in such a short span of time. 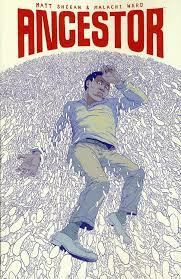 I'm not alone in really liking, "Ancestor," as others were impressed by it too. The story starts-out with the man who is arguably the main character, Peter Chardin, using a technology known as, "The Service," which is like the internet made even more powerful and ubiquitous. It is a fascinating thing to see portrayed in the story and that makes it all the more disappointing that the characters find themselves in a situation early in the story that disables the service. You see, our group of loose associates all go to the house of a genius inventor named Patrick Whiteside. Once everyone arrives at Whitesides' house it becomes apparent the man is quite mad and dangerous violent. He has a plan to evolve humanity and in shocking twist, it actually works--which raises the question of if the ends justify his means. When this happens the story spirals in an entirely new direction featuring God-like humans--"The Ascended," living over billions of years and shaping the entirety of reality, which is quite the fascinating story-swerve for a yarn that starts-out seeming like it is just about an advanced internet and homicidal inventor. 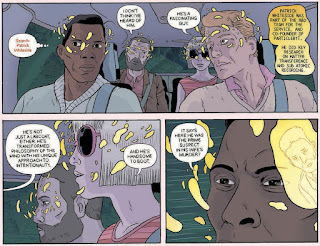 To the credit of authors Matt Sheean and Malachi Ward, things never feel out-of-place tonally even as the story does its dramatic zigs and zags at various points. As I stated at the start, my only concern is that we see so many ideas brought-up only to have them quickly be replaced by even more fascinating concepts. In an era where were often talk about comics being too decompressed this is actually a book I think would benefit from being double, or even triple, its relatively smaller size. 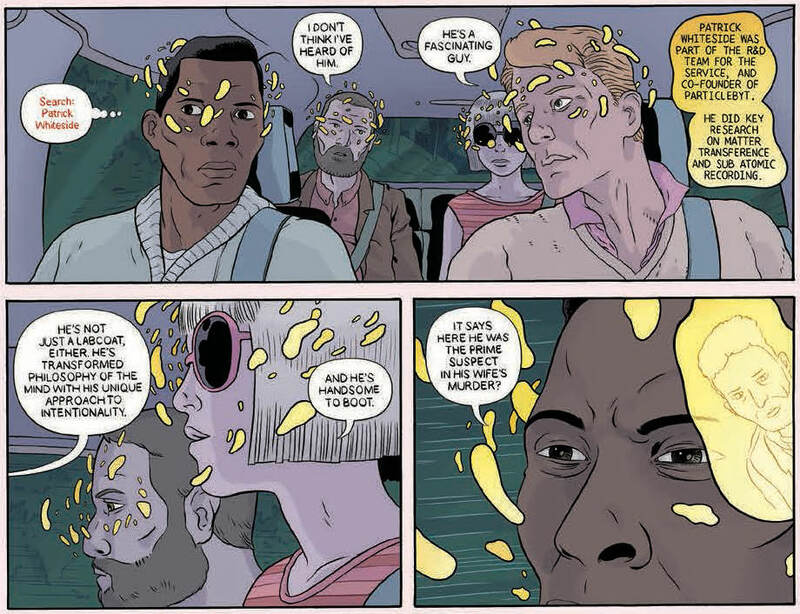 Still, what we get within the pages of, "Ancestor," is really cool and I for sure loved reading it. You buy Ancestor on Amazon if you like!